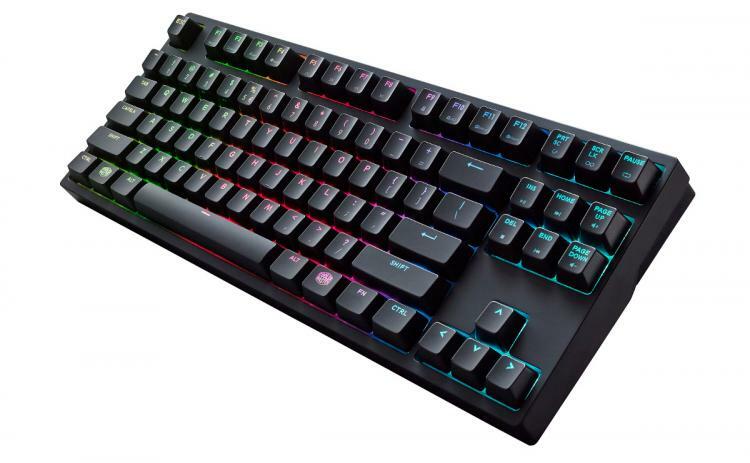 Taipei, TWN – Cooler Master, a leader in design and manufacturing computer components and peripherals, today launched a selection of keyboards for gamers to choose from. Minimalistic design meets brilliant illumination in Cooler Master’s first RGB mechanical keyboard series with Cherry MX switches. 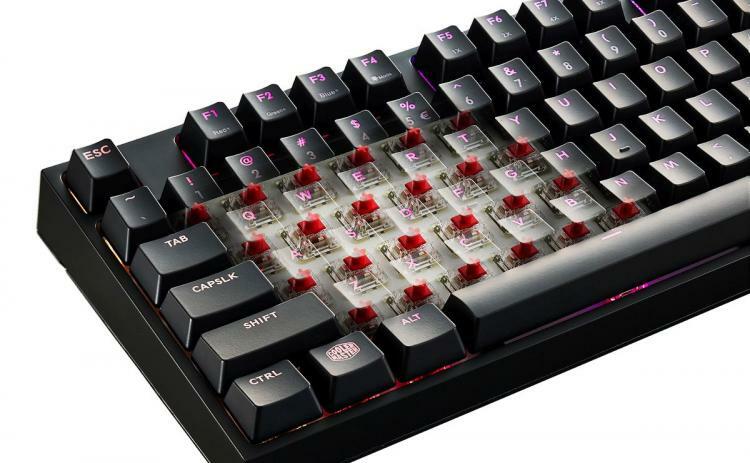 The MasterKeys Pro L is the full-size version, and those seeking a compact version can go with the MasterKeys Pro S, a tenkeyless design. Most RGB keyboards come with either bright LEDs or high-quality switches. But with the MasterKeys Pro L and Pro S, you get the best of both worlds: the brightest LEDs and the best tactile feeling that gamers have come to love. 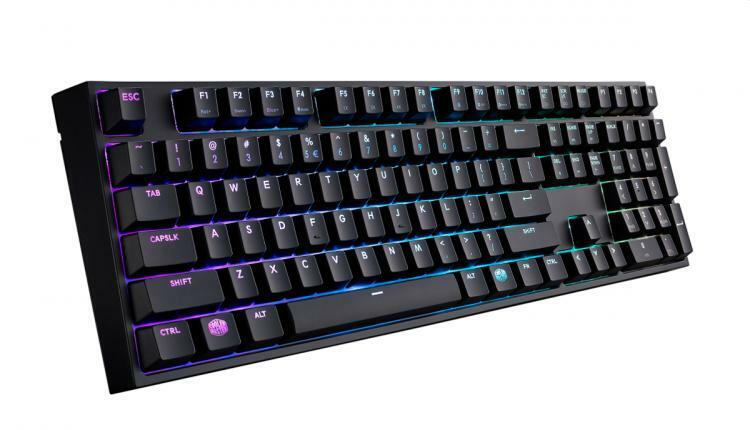 Cooler Master completely redesigned the interior of the MasterKeys to fit both Cherry MX switches, and bigger, brighter LEDs that can radiate 16.7 million colors. The MasterKeys Pro L and S also support on-the-fly macros, profile support, and easy-to-use software - all in a sleek, minimalistic design. Gamers demand the best, which is why the MasterKeys Pro only uses 100% authentic Cherry MX switches. Choose between red, brown, or blue switches to match your tactile preference. Sleek lines, refined symmetry, and a heavy-weight quality build help you keep things clean and simple. Soft to the touch and long-lasting, MasterKeys Pro L has UV key coating that gives you a luxurious experience while protecting the keys for durable, long-lasting game play that won’t result in missing letters and discolored keys. In particular, MasterKeys Pro L comes with cables that won’t ever get in your way or clutter your desktop. The detachable cable allows for easy transport without the risk of cable strain and provides a simple way to move your keyboard out of the way when needed. Hidden underside positioning grooves (only available on MasterKeys Pro L) gives you 180° cable management, keeping your keyboard and desktop sleek and organized regardless of arrangement preference. The 32-bit ARM processor allows you to save and play back complex macros. Four profile keys offer quick backlighting and macro recording without hassle. Program multiple keystrokes to a single key or change per-key backlighting with intuitive keyboard commands. Easy-to-use software lets you fine-tune RGB color and speed settings for modes like Color Wave, Star Effect, and Rain Drop. Backup and save your gaming profiles to share with fans and the community all through the easy-to-use software. You can go software-free too – just adjust and change settings via the On-the-fly System without the need to install anything. And when the competition gets fierce while gaming – Cooler Master’s Easy-to-use software ensures that each keystroke is correctly detected regardless how many other keys are being pressed. Simply plug and play. Expand LED lighting modes through online updates and upgrades only available through coolermaster.com. *Local UK pricing may vary slightly due to flexible exchange rates. UK Layout SKUs will initially be available with Cherry MX Brown switches (tactile, resistive).